Editor’s note: This is a sponsored article, which means it’s independently written by our editorial team but financially supported by another organisation, in this case, Bayer G4A. If you would like to learn more about sponsored posts on Tech.eu, read this and contact us if you’re interested in partnering with us. Of all the industries in which startups work together with larger players, healthcare is arguably the one where this collaboration is the most important. It’s extremely difficult — and often expensive — to bring innovative products to the market, and that’s where the resources of a corporate could come in really handy. If you’re a startup looking for a partnership, here’s some good news. Combining three global startup programs, the health industry giant Bayer has just launched the 2019 G4A Partnerships season, a collaborative initiative for digital health startups on different stages. The applications will stay open until May 31st. In a nutshell, G4A is looking for startups that solve one or more of a long list of challenges that will be published over the next few weeks. To name a few, this year, G4A is looking for companies to partner within specific challenge categories such as Digital Therapeutics, Women’s Health, Cardiovascular and many others. The program is stage-agnostic and consists of two different tracks that are suitable for startups at different stages. In total, G4A expects to choose between 3-6 companies for each track. “We want true collaboration and co-creation. This is why we have pivoted our model and process,” said Eugene Borukhovich, Global Head, G4A Digital Health. “The digital health ecosystem has matured over the years and there are some very well-developed startups across the value chain, which have different expectations; they are less interested in one-off collaboration, but prefer longer-term relationships where we can co-develop and scale solutions jointly. Somewhat similar to a traditional accelerator program, the Growth track of G4A is there for early-stage teams working in the digital health space with a minimum viable product. The startups selected for the program will come to Berlin for at least 90 days and receive €50,000 in the form of a convertible note, as well as office space on the Bayer campus and support from a pool of over 150 mentors and Bayer experts. Speaking about the funding deal, Bayer’s Head of G4A Partnerships, Zsuzsanna Varga said that the company strives to offer “the most startup-friendly convertible note” on the market. For the more mature companies that already have a product in the market and a customer base, G4A is launching the Advance track. The startups chosen for this track won’t need to move to Berlin full-time but will come to work with the Bayer on a need basis. The goal of the Advance track is a commercial partnership between Bayer and the startups that’s expected to result in bringing innovative products and solutions to the market together. The financial aspect of this program is different from the Growth track: simply speaking, the startups get paid for their products and services based on a set of milestones agreed in advance. Since its launch in 2013, Bayer has supported over 149 digital health companies. This has resulted in 29 direct collaborations with companies such as KinAptic, Turbine, and xbird. Last year, Bayer’s startup programs received applications from 65 countries from all over the world. One of the program’s success stories is KinAptic, a startup that developed a VR app combined with electric impulse source for stroke rehabilitation. As a participant of Bayer’s G4A program, the startup signed a contract with the corporate and stayed in Berlin to work on and scale the product. 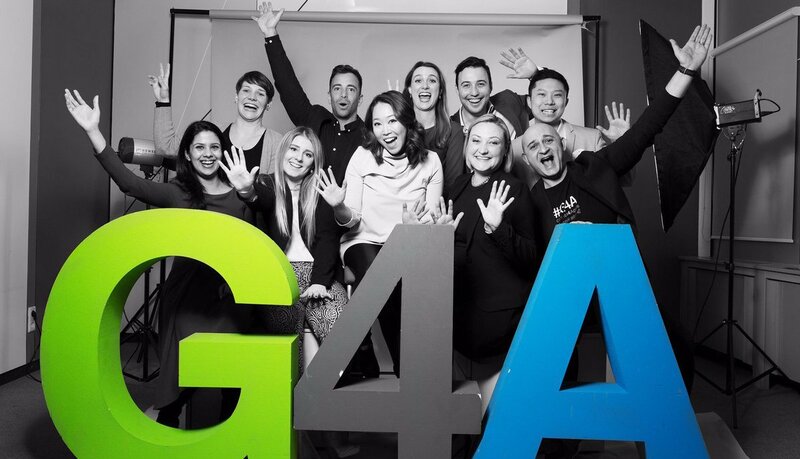 The applications for G4A are open now and will close on May 31st. Apply here to get a chance to collaborate with and get financing from an industry leader and get to the market faster and more efficiently.